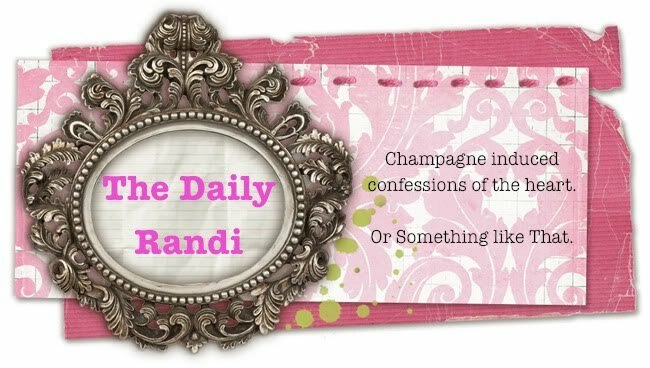 The Daily Randi: This Must Be How Tinkerbell Feels When Peter Pan Is Having An Off Day. This Must Be How Tinkerbell Feels When Peter Pan Is Having An Off Day. 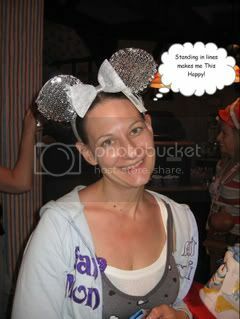 Last week, I went to Disneyland! My Grandparents moved to Florida when I was 8 years old and Every Year Or So they would take Me, Easily Annoyed Sister, My MOM, and usually My Aunt and My Cousins to Walt Disney World in Orlando. We would stay at one of the hotels inside the park and just Do The Disney Thing for, like Three or Four Days. I loved these trips because it was Fun to spend time with My Family. And because there was Fun, there was Very Little Fighting. Plus, My MOM would give Easily Annoyed Sister and I these Credit Card Things that Charged Everything To The Hotel Room so that we could go off on our own and feel like Grownups, minus The Annoying Hotel Bills. So. Much. Fun. I have Very Fond Memories of going on the Haunted Mansion with My Now Deceased Grandfather, experiencing Pirates of the Caribbean with My Scared Of The Dark And Anything Darkish, Like, Say, The Pirates Of the Caribbean Ride MOM, and getting Stuck in Epcot’s Journey to Imagination Ride with Easily Annoyed Sister. Seriously, we were stuck there for like Over An Hour. We know The Freaking Figment/Imagination Theme Song By Heart. By the way, Being Stuck On The Freaking Figment/Imagination Ride may be My Idea of Hell. So, yeah, I know The Walt Disney World By Heart. No Need For Maps. I could Live There! Disneyland is Different, though. I have only been there A Few Times. The first time I visited, I thought it was Way Smaller than Disney World and Mildly Dirty. Older. Well, Older Equals Dirty, I guess. In any case, it was still Very Fun. Those Rides are mostly The Same, so they hold The Same Memories for me. Naturally, when I found out that Totally Awesome Fiancé had Never Been To Disneyland, I insisted, We Go! This Insisting began shortly after we met, so it had been going on for Some Time. But, Totally Awesome Fiancé Refused. He pictured Crowds. Lines. Annoying People. Stupid Rides. “No!” I told him. “It is Fun! There aren’t That Many Lines!” And, so he Agreed To Go! Okay. So I guess I have only been to Disneyland during The Off Season. Because when we finally went on Thursday, there were Lines Up The Kazoo. We waited Over An Hour for Peter Pan’s Flight. I insisted we go on it because it is One Of My Favorite Rides! But, I guess if you wait An Hour for A Ride, your Expectations Get Raised and Totally Awesome Fiancé thought it was A Big Waste Of Time. I was Sad. But, we did have Fun! Totally Awesome Fiancé liked The Indiana Jones Ride. And The Fireworks were Really Nice. Also, The Jungle Cruise had Only A Ten Minute Wait. Totally Awesome Fiancé liked That. So, now I guess I really live in Never Never Land. I've never been to Disneyland. You can take me next time you want to go, and we can play Jewish Geography while we wait in lines. Go in November. No one is there. And Peter Pan is always so crowded? It's the best ride in Fantasyland but the line is ridiculous. Go on a Tuesday when school is in session - it's like a different (empty) world. You can ride the good stuff 5 times in a row if you want.